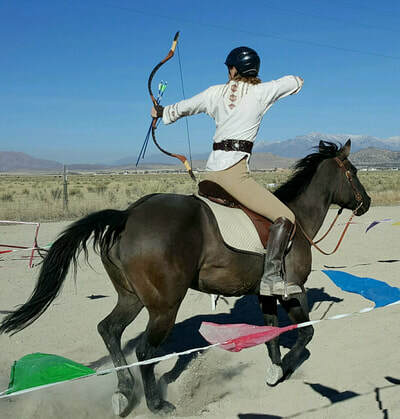 ….the very first mounted archery club in the state of Utah! Started in January of 2016, Alpine Mounted Archers is an affiliated club under the Mounted Archery Association of the Americas (MA3). We hold introductory clinics, weekly practices sessions and lessons during warm weather. During the winter we hold indoor shooting sessions focused on improving our form and accuracy. We also schedule clinics regularly to meet the needs of those wishing to get involved with the club and the sport. Introductory clinics usually take about four hours. The first two hours are focused on teaching basic ground archery skills and safety. The second two hours focus on horse desensitization, riding form, and basic shooting techniques while mounted. They're amazing for the beginner archer, horseman, or both! Most horses take well to shooting off their backs, contrary to what people might think. Some horses do take longer to get acclimated than others, though, and that is okay. We never want to rush this process and damage the relationship between rider and horse! 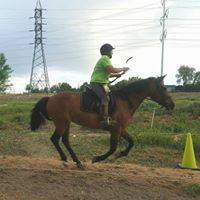 Safety is very important to us and though some archer/horse combinations can shoot while mounted after only a few hours, others take 3-5 sessions to be able to shoot mounted while the horse is relaxed at walk and trot. It then may take several more sessions of practice to be able to shoot while at canter with your own horse that you are used to. We also have Hotshot (our simulated horse) to practice on if you don't have a horse or your horse is not ready to shoot of of yet to get you used to aiming and shooting at speed. 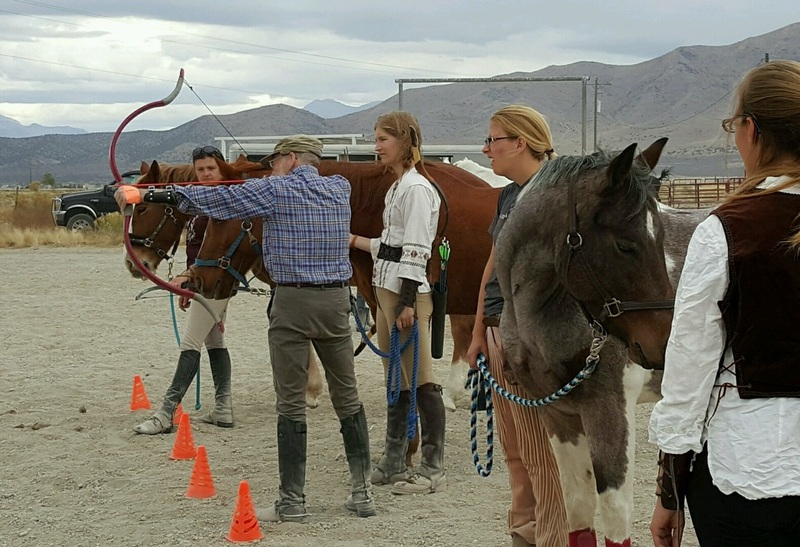 We're the only mounted archery club in the U.S. to have five USA Archery level 2 Instructors! Mounted archery goes back to the nomadic way of life in Central Asia. 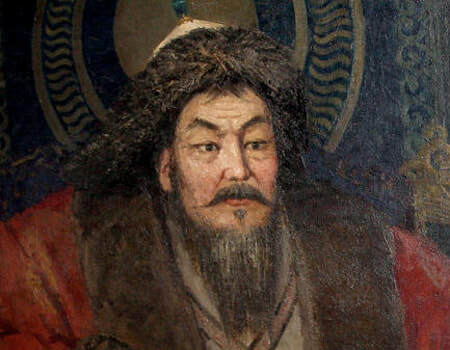 The horse cultures of Asia mastered the riding skills of rein-less riding needed for mounted archery, which led to large armies of mounted archers, the most well-known are from those of Genghis Khan. 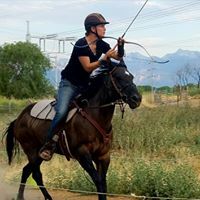 The Mongol culture's influence on mounted archery is still seen today not only in Mongolia and the surrounding areas, but all over the world as mounted archery continues to grow. Mounted archery was not only used for warfare as it was also used for hunting and protecting herds. It was a defining characteristic of the Eurasian Nomads and the medieval period, including the Mongols and the Turkic peoples during the Middle Ages. Now, more than thirty countries have programs in this ancient martial arts discipline. The "Kassai Lajos" of Hungary have been a leading force in the sport for over two decades. In addition, Grand Master Kim Young Sup of South Korea has been instrumental in re-introducing mounted archery as an international martial arts discipline and competitive sport. ​ Each competitor attempts each discipline twice, with a total of six runs per competitor. The competitor’s score for the event shall be the total of the scores for the competitor’s six runs. Scores are compiled by how close your shots are to the center, as usual, and how fast you and your horse run the length of the course. ​The Qabac is a run in which competitors shoot at circular targets located at the very top of poles near the track. These target poles shall be on the left for right-handed competitors and on the right for left-handed competitors. They are at least 7m high. Only blunt tipped arrows maybe used to shoot at the qabaq targets. A qabaq set is 6 runs. A half-set is 3 runs. The competitor rides along the track and attempts to shoot the underside of the target. ​The track is divided into three, 30m sections. The target tower is placed half way along the track and holds three vertical targets, whose center is above the level of the track. The central target's face is parallel to the line of the track. The first and third targets are angled in such a way that allows the competitor riding along the track to hit them perpendicularly from a distance of 35m – shooting the first target forwards and the third one backwards.